Drive a Ferrari SuperFast in Dubai. 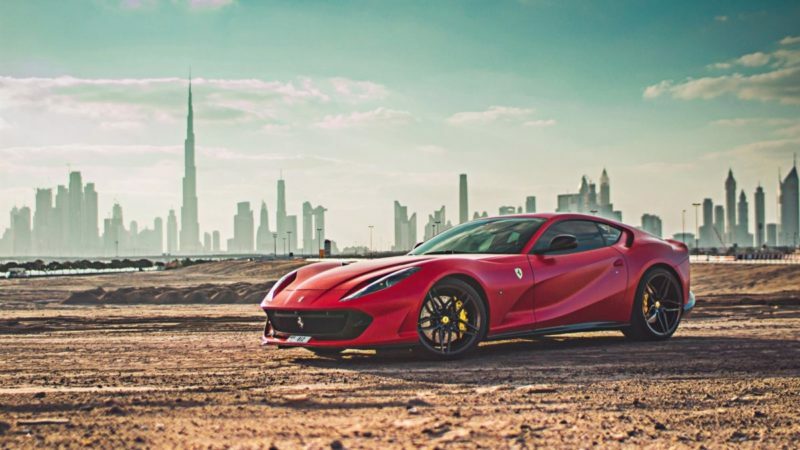 The city is no stranger to high-end Italian motors, and few things are as exciting as cruising around the United Arab Emirates (UAE) in a power-hungry, V8 engine. As the de facto capital for supercar sightseeing. Here at Rotana Star Rent A Car, we are pleased to offer a selection of exclusive Ferrari motors for hire. 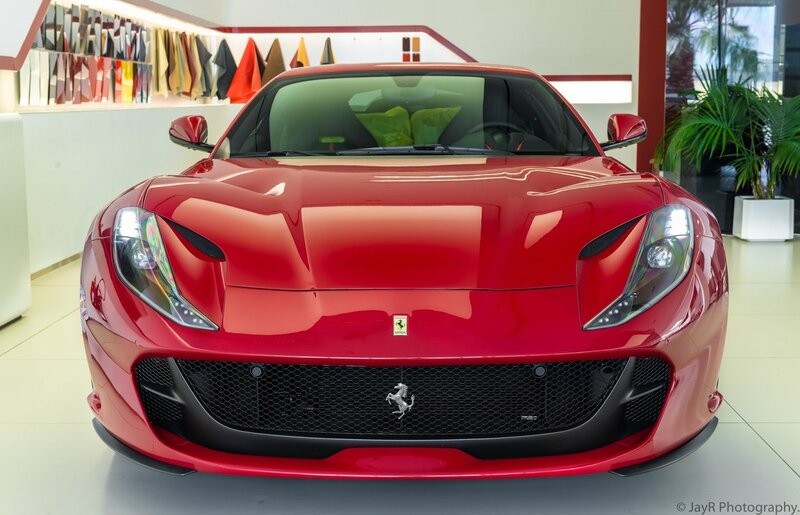 Our fleet of Ferrari cars includes the 458 Italia and the 458 Spider convertible, the twin-turbocharged V8 Ferrari 488 GTB, rated “Supercar of the Year 2015”, and the Ferrari Portofino Rosso. Ferrari rental in Dubai is an effortless process at Rotana Star. We take care of all the paperwork and delivery, ensuring an efficient, reliable service. 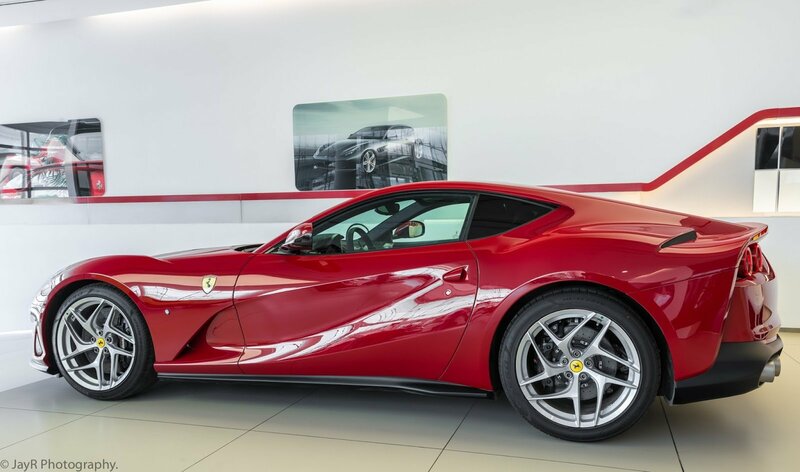 The process is as follows: Visit our website to view the price list, select a Ferrari for rent, then get in touch by phone or by making an enquiry via the website. We will then provide a quick courtesy call to finalize proceedings. We can then deliver the care to any nearby location, or reserve the car for collection in our showroom. As a well-established Ferrari rental company, we are in prime position to offer highly competitive prices to both tourists and business customers. At Rotana Star, we not only own all our vehicles so we can pass on great savings, we also ensure a very high-level of safety and performance. All our cars are maintained to the highest standards with regular checks. This ensures our customers remain happy and our cars provide an exhilarating thrill time and time again. Rent a Ferrari SuperFast in Dubai. We strive to provide the best service in the area. At Rotana Star , we have many years of experience in the hire car field. As a result, we can bring value for money and top-notch service – guaranteed. A key reason for this is because we own our entire fleet of vehicles. This means we have more flexibility on price, unlike our competitors, who often lease their cars on a long-term basis. At Rotana Star, we make the process to hire a Ferrari SuperFast for rent easy. The first step is the browse our website to find a suitable price. After this, contact us by sending in a request via our online form or by telephone. We aim to get back in touch soon after to finalize the deal. When the time comes to deliver the car, we offer two options: either pick-up the car from our Dubai showroom or take advantage of our popular door-to-door delivery service. Our premium car rental services allow you the chance to rent a Ferrari SuperFast in Dubai or other luxury brand cars at affordable rates. Book online or over the phone and collect your rent a car or get it delivered in Dubai.